Virtually all the elements beyond hydrogen and helium come not from the big bang, but from the astrophysical processes of stars. The Earth and Moon are largely made of stardust, as the saying goes. We generally think of this process as having occurred long before our solar system formed, but it is an ongoing process we can see occurring more recently as well. Evidence of cosmologically young elements on Earth can be seen in ocean floor sediment. In layers about 2 million years old there are concentrations of iron-60. This particular isotope of iron is interesting because it is seen in supernova remnants, and is is mainly supernova explosions that produces it. It also has a half life of about 2.6 million years. Any iron-60 that was around during the formation of our solar system billions of years ago would have long since decayed into cobalt-60. So the spike of iron-60 in ocean sediment would seem to be due to a supernova that occurred a couple million years ago. To be present on Earth, it would also need to have occurred fairly close to our solar system. But if that’s the case, then we should see similar evidence on other solar system bodies. A recent paper in Physical Review Letters finds just such evidence on the surface of the Moon. It comes from lunar samples gathered by the Apollo missions. Measuring the isotope levels of lunar material, a team found that it had concentrations of iron-60 about 10 times higher than you would expect normally, similar to the spike in layers of ocean sediment on Earth. The team also found elevated levels of manganese-56 which is produced when cosmic rays strike iron atoms. This is important because iron-60 can also be produced by cosmic rays. By comparing the manganese and iron isotopes, it became clear that cosmic rays couldn’t account for such a high level of iron-60. Thus it must be due to a local supernova. 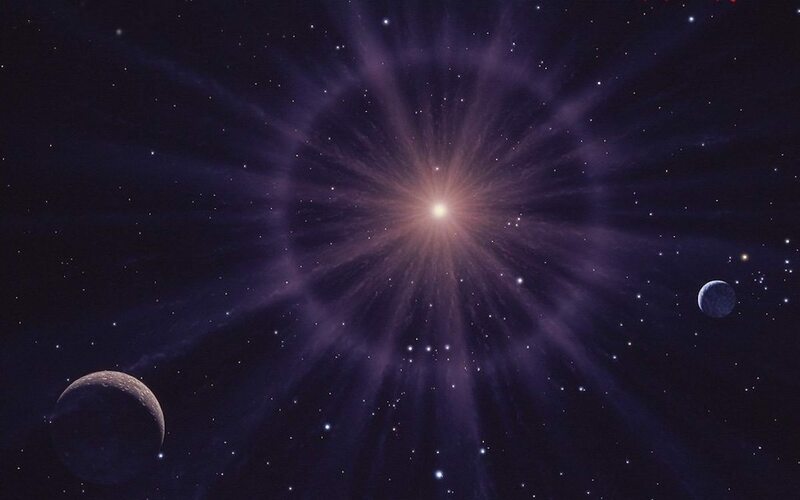 From the lunar levels, this supernova likely occurred roughly 2 million years ago about 300 light years away from Earth, which is surprisingly close on a cosmic scale. With an average size star, how much impact would (could?) 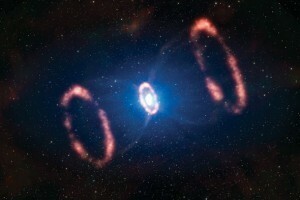 a Supernova 300LY from Earth have? Would it be cataclysmic once it reached Earth, almost a non-event, or somewhere in between? Typo? Should be “a couple of MILLION years ago”? Yeah, it should be million. I’ve updated it.